First, you need to consider whether you are making an oil or water based product. For our purpose of making skincare that smells good naturally, it is easier to do with oil based products. But that doesn't mean you can't do it with water based formulas! Only that you might need to play around and experiment a little more before you're happy. Don't give up though. It's worth it in the end. Now, no matter what kind of product you're creating, the aroma is going to come (at least in part) from the oils you use. So, it makes sense to incorporate carrier oils that naturally smell nice. There's a special emphasis on carrier oils because, for our purposes, we are going to avoid using essential oils. Remember, this is for people who have scent sensitivities. And many do in fact have sensitivities to essential oils. The solution? First, carriers that smell good. And while this sounds limiting, you actually have a surprising amount of variety at your fingertips! One of the best smelling carrier oils out there is Seabuckthorn oil. Especially when it's of good quality, it has a wonderful, almost fruity, berry-like aroma that is really nice for use in private label skincare products. Especially products meant for use on the face. Seabuckthorn has a really unique and important essential fatty acid profile not found in other plants. Specifically, omega fatty acids 3, 6, 7 and 9. Seabuckthorn is rich in plant-based vitamin C and other antioxidants, as well as a host of other bioactive compounds. It is a rich source of dermal nutrition and its pleasant scent is just an added bonus. Be careful though, as the color is a very strong orange and so care must be taken when formulating to make sure that the percentage is just right that it doesn't make the skin look orange (for too long, at least). Rosehip seed oil is another fantastic carrier oil that has a wonderful, berry-like aroma. Often recommended for people with acne, it's especially rich in Linoleic Acid- a fatty acid that research has shown to be low in people with acne. It's another great source of antioxidants, great for scars and has a beautiful red color that makes oil (and even water) based formulas pretty to look at. Rosehip seed oil is consider to be a "dry" oil, meaning it sinks into the skin exceptionally fast and doesn't leave it feeling oily. Which is great for people with oily skin! 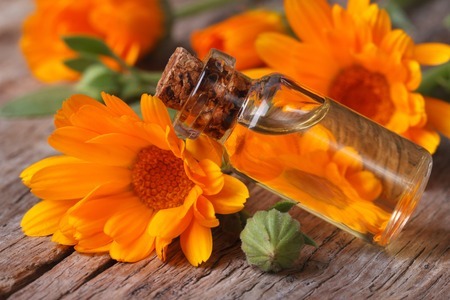 Now, both rosehip seed and Seabuckthorn are phenomenal carrier oils to use in your skincare formulations. And for our purpose of creating private label skincare that smells good naturally, it's even better to use them as Co2 extracts. Both oils are still carriers even in their Co2 extracted form. The difference is that the Co2 extraction produces a more botanically active end product than simple cold or expeller pressing. So you end up with a more concentrated carrier oil, and that concentration, if you will, translates to the aroma as well. The texture of rosehip seed and Seabuckthorn Co2 extracts is still nice and smooth, with a good glide that goes on and into the skin with ease. So using them in your skincare creations in place of regular carrier oils (if you choose) is easy. While Seabuckthorn and rosehip seed smell like fruity berry goodness, carrot seed oil has a more herbal and uniquely floral aroma. It brings an astringency and depth to natural skincare smells that gives them a more refined, almost upscale quality. And it just so happens that carrot seed oil is phenomenal for toning up the skin and helping with all your anti aging efforts. Think tight, smooth and plump skin. Like rosehip, carrot seed oil soaks into the skin quickly and does not leave it feeling greasy. It's a great summertime skincare oil since it won't make the skin feel heavy and blends beautifully with the two other oils mentioned above. If you're making a water based product, another great way to make it smell good naturally is to incorporate a plant water (otherwise known as a hydrosol) into your formula. This can actually serve as the base for your formula instead of just plain water and is a quick way to instantly boost the active plant activity in your formula. And the aromas! The aromas you have to choose from are wonderful. Cucumber, lavender, rose, chamomile, lime...the list goes on and the aromas are as pure as they are beneficial for the skin. Another great thing about hydrosols is that their smells aren't overpowering; they're just right. Which makes them perfect for formulas that target people with scent sensitivities but who still nonetheless enjoy fragranced products. Next time you're developing a new product, be it at home or with your private label skincare manufacturer or choice, try out one, or all of these ingredients in your quest for a sweet-smelling formula free of fragrance and essential oils. It might take a little playing around, but in the end we think you'll be pleasantly surprised.